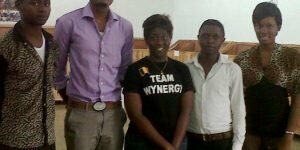 AGRO-HUB – GEW2013BUEA: DISCOVERING AND EMPOWERING YOUNG ENTREPRENEURS. Since its creation in 2008 it has become a tradition practiced in 6 continents, that every year entrepreneurs come together to introduce entrepreneurship to young people. Countries like Singapore, Trinidad, Pakistan have made a great deal out of the event. The annual event normally spans for one week and involves participation of entrepreneurial experts, policy makers and education practitioners. The aim of the event is to expose people to the benefits of entrepreneurship through different activities and to motivate them to explore their own entrepreneurial ideas. This year, Buea took part in the annual event and although it was a one day event, Saturday 23rd, it was beautifully organised with lots of awesome ideas popping up in the hall which got the participants very engaged and much was achieved. Hall filled with passionate aspiring entrepreneurs listening to a mentor throw light on the business canvas. Organised at the American Corner, University of Buea, the event started at 9:00am and lasted for 6 hours with its theme being Discovering and Empowering Young Entrepreneurs. 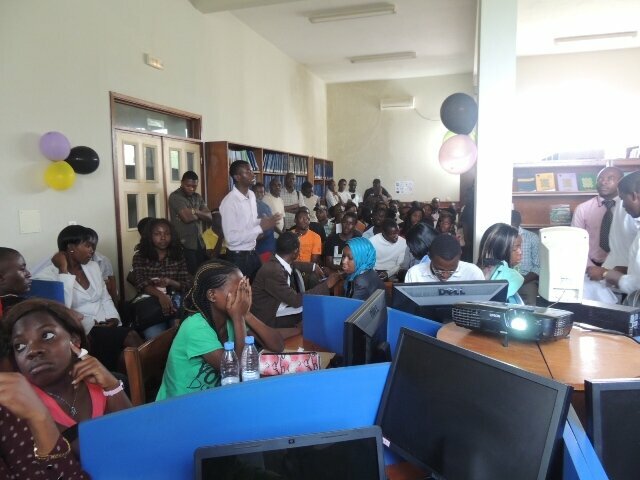 Students were brought together from the University of Buea, the Catholic university and other professional schools around Buea. Entrepreneurial experts, startup ventures and fully blown ventures gave talks on entrepreneurship. 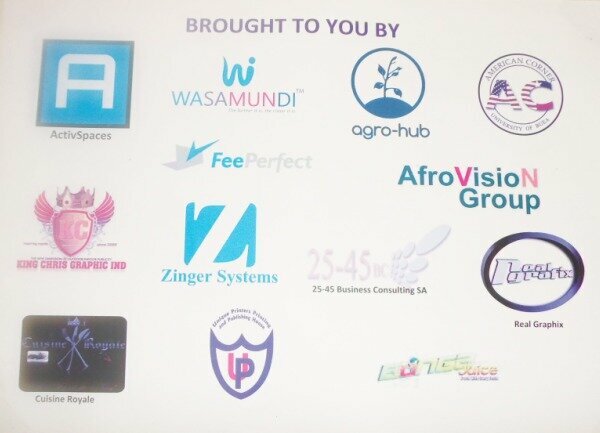 Organising bodies like AGRO-HUB, Wasamundi, Zinger Systems, King Chris and Bonga Juice had their business ideas used as a model in teaching the groups the lean canvas after which they had them generate their own ideas while they mentored them through the event. They came up with 10 ideas that separated the participants into 10 groups, had them work on it and pitched their idea to the rest of the groups. 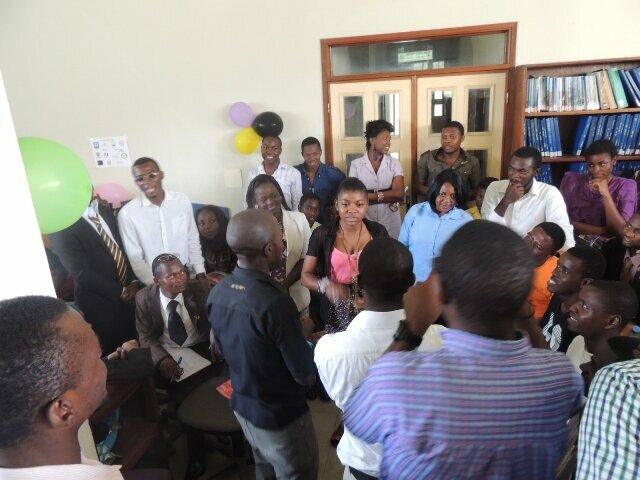 Young aspiring entrepreneurs pitching ideas generated in the hall after being taught the lean canvas. The event was a huge success I must say, the turn out was massive and the interest in entrepreneurship by the young minds is what I could never imagine. For its 1st time in Buea, the extent to which the whole idea was embraced is what one could never dream of. And just like the chair person, Mr Harry Ngum said, ‘you have to start from somewhere and no other person can do it better than you’. If you want the work done, you have to do it yourself. There was so much knowledge in the air to be sucked in that 6 hours wasn’t enough; from the lectures given by entrepreneurial experts to success and failure stories given by young owners of thriving ventures in Buea, the participants kept asking for more. Organising ventures who made the event a success. Although the Global Entrepreneurship Week is an annual event, we hope to keep the flame burning by organising seasonal meetups. A huge thanks to all organising ventures who came together to make the event a success. AGRO-HUB MODEL: IMPACTING THE LIVES OF YOUNG AGRICULTURALIST. Very useful, very, very useful, thank you Agro Hub for promote my entrepreneurial idea. Agricultural future: Empowering Young Entrepreneurs !